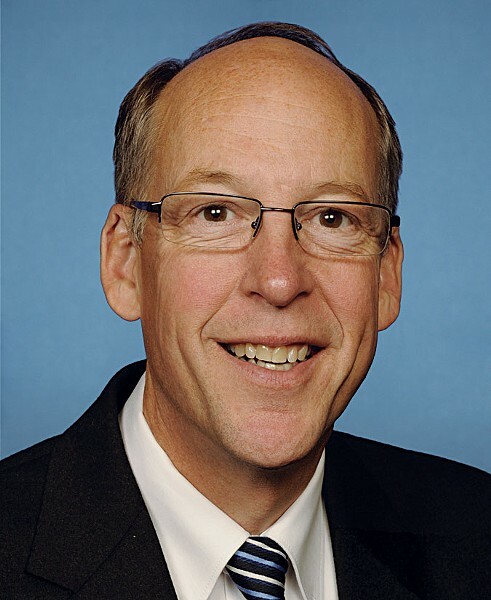 With the deadline for action looming, Oregon Congressman Greg Walden released a draft of long- and eagerly anticipated Klamath legislation on Dec. 3. But the proposal hit with a resounding thud as it was decried by stakeholders and Walden's congressional colleagues alike. Legislation is desperately needed to salvage the historic 2010 Klamath Basin Restoration Agreement, which saw diverse stakeholders come together through a 10-year process to arrive at a compromise to resolve the decades-long Klamath water crisis and restore beleaguered salmon runs. The agreement is set to expire at the end of the year, and many had given up hope that Congress would pass the legislation needed to move the agreement forward. So you'd think news that someone in Congress has drafted legislation to enact the deal — after years of inaction — would be met locally with cheers and fist pumps. "Unfortunately," North Coast Congressman Jared Huffman said in a statement, "Congressman Walden's draft conspicuously leaves out the dam removal that's vital to river restoration — the centerpiece of the whole agreement for my constituents in California — and adds poison pills in the form of massive giveaways of public lands that were never part of the settlement." According to Walden's summary of the legislation, the draft bill would "not authorize, fund or expedite federal dam removal," and would instead leave that process to the Federal Energy Regulatory Commission. The draft would also transfer 100,000 acres of U.S. Forest Service land each to Klamath and Siskiyou counties to be "used for timber production to grow jobs in rural communities and improve forest health." While the topic of dam removal has long been a bit of a lightning rod in Congress, with some lawmakers fearing removal of the four Klamath dams would set a precedent for future removal projects, its absence from the draft legislation is a bit of a head scratcher. Just two months ago, Walden told the Herald and News that there were "no alternatives" to dam removal being a part of the deal. "Personally, I'm not a dam removal support guy," he told the Herald and News, according to an Oct. 15 story in the Associated Press. "But the facts that have been agreed to [in the pact] require [dam removal] and there are really no alternatives unless you want to blow the whole agreement apart and give up on water certainty for agriculture and all the other components that go with the agreement." It's unclear where the idea came from to gift Klamath and Siskiyou counties a combined 200,000 acres of federal forest land. Though, it should be noted Klamath County is a part of Walden's district. Walden's spokesperson, Andrew Malcolm, told the Oregonian the land giveaways were an "out-of-the-box" idea to help the two counties' economies and build political support for the bill. The idea seems a stretch, as it was immediately decried by Oregon Senators Ron Wyden and Jeff Merkley, who had been in close discussions with Walden about the bill. "The give-away of federal lands to counties is a known non-start in the Senate," the two U.S. senators said. "[The draft bill] also eliminates a provision on dam removal that is central to the bargain worked out over years with blood, sweat and tears." Legislation Wyden introduced to the Senate that would essentially enact the Klamath agreements as the stakeholders crafted them has been stalled in the Senate Energy and Natural Resources Committee since January. For the agreements to be codified into law, both the House and Senate would have to pass identical bills that would then be signed by President Barack Obama. The Karuk Tribe, which has been a staunch supporter of the KBRA and for which dam removal is the negotiated benefit of the agreements, issued a press release last week deeming Walden's draft bill "far off the mark." "Congressman Walden told us all that he understood that dam removal had to be part of the bill or else irrigators would face water uncertainty," Karuk Councilman Josh Saxon said in the release. "The draft bill he released today leaves out dam removal and instead replaces it with a giveaway of public lands. Communities in the basin left partisanship at the door to hammer out a solution. Mr. Walden must do the same. If there is no dam deal, there is no damn deal." Walden is encouraging "all parties to review the proposal" and asking for feedback. The full text of the draft can be found on his website. Huffman said the "fundamentally flawed" discussion draft is a "discouraging sign for those of us who urgently want to make progress on Klamath River restoration," but pledged to continue a bipartisan effort to forge a "reasonable and responsible Klamath compromise. ... But like many Klamath stakeholders, my patience is wearing thin." The agreements' path forward remains murky. If Congress again fails to act on the legislation by year's end, the stakeholders could opt to extend the agreements for another year, which they did at the close of 2014. But, as Huffman alluded, patience is wearing thin. In September, the Yurok Tribe, one of the original stakeholders to the agreements, publicly announced its intent to bail from the pact, and some other entities have indicated they are likely to follow suit if 2015 comes to a close without legislation in place. A group of 14 of the initial settlement parties issued a statement last week on the heels the release of Walden's draft bill warning that a failure of Congress to act by the end of the year will return the Klamath Basin to the "conflicts that hurt all our communities." The statement "strongly" urges lawmakers to "roll up their sleeves and finalize legislation that achieves the goals of the parties to the settlement." If Congress doesn't act, or passes a bill that omits dam removal, those looking for PacifiCorp to remove its four dams along the upper Klamath could turn their attention to the Federal Energy Regulatory Commission. The Hoopa Tribe — never a party to the initial agreements — is already taking this route, and the Yurok Tribe has recently followed suit. The idea is that by pushing the commission to move forward with relicensing, stakeholders could force PacifiCorps to comply with clean water laws and install fish ladders on all four dams, which would likely prove more expensive in the long run than simply removing the dams altogether. Regulating the dams under today's standards — as opposed to their recently expired 1956 licenses that predate many environmental laws — may lead to their removal. Believers in the Klamath agreements, however, point out that the commission — known as FERC — hasn't historically leapt to dam removal as a favorable option, noting that the only dams removed through the FERC process have been the result of private settlements. In an interview with the Oregonian, former Oregon State Sen. Jason Atkinson, who produced a documentary on the Klamath and has spent recent years lobbying Congress to ratify the stakeholder agreements, pointed to Obama as a potential solution. The president, Atkinson said, could administratively give PacifiCorp the liability protection that was its primary negotiated benefit in the 2010 agreements, paving the way for it to go ahead with removing the dams. With dam removal no longer a part of the legislative package, Congress might be more prone to ratify the agreements. What's clear, however, is that Walden's draft bill — once hoped to grease the congressional wheels — has complicated things. In the press release from the tribe, Karuk Chairman Russell "Buster" Attebery said Walden's legacy rests on getting this legislation right. "There is no other solution to the Klamath crisis," he said. "Greg Walden's legacy is being forged right now and the next time there's a fish kill or irrigation shut off, it will be no one's fault but his."